Each event of the 2013 series uses points totals from Day 1 and Day 2 to determine the tournament winner. 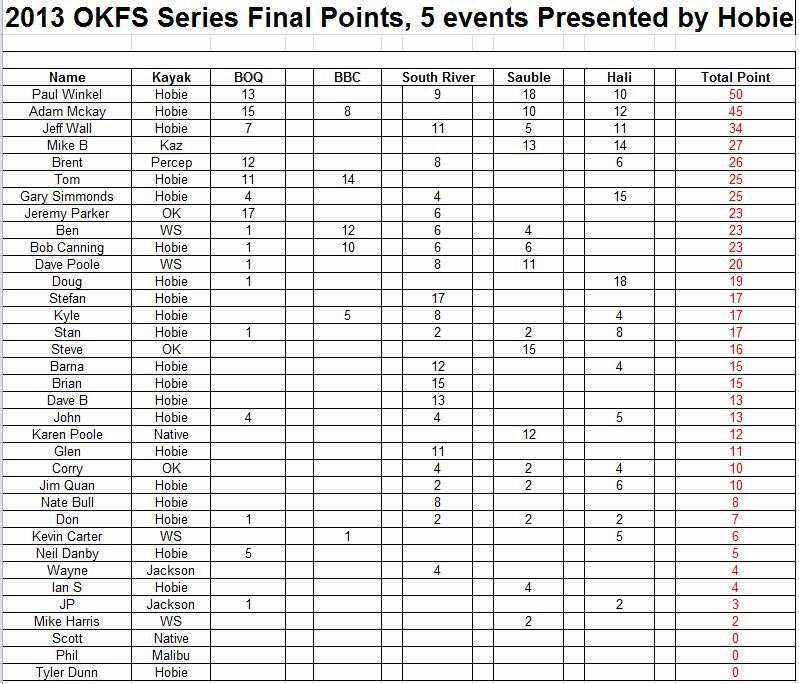 The totals from each individuals best placement in 4 of 5 events are then accumulated to determine the Series Champion. There are bass, walleye target species plus a multispecies event(BBC) for the points system, and multi-species prizes awarded to the largest single fish identified at each event. Register early to take advantage of the Early Bird Special. 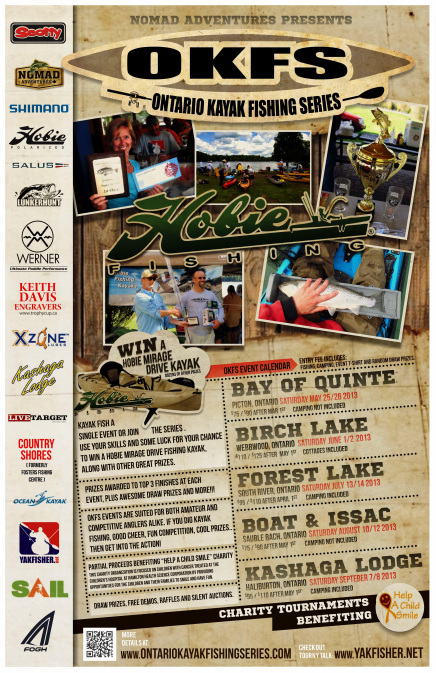 Quinte** and South River award prizes for the largest single Northern Pike. Haliburton awards prizes for the largest single Muskie. Don't forget about the cash pot for these fish too! Arrive Friday to set up if camping. * One change to this year's events is to allow a 5am start time for folks to shuttle to their put-ins. Summer events only. ** Please note camping is not included in the Bay of Quinte or Sauble Beach registration fee but is in the other three events. Life for a child threatened by cancer is filled with pain, sacrifice, hospital visits and treatments. "Help a Child Smile" was born out of the need to bring some joy into the lives of these victims of childhood cancer. Mission Statement An organization focused on children with cancer treated at the Children's Hospital at Hamilton Health Sciences Corporation by providing opportunities for them and their families to smile and have fun.